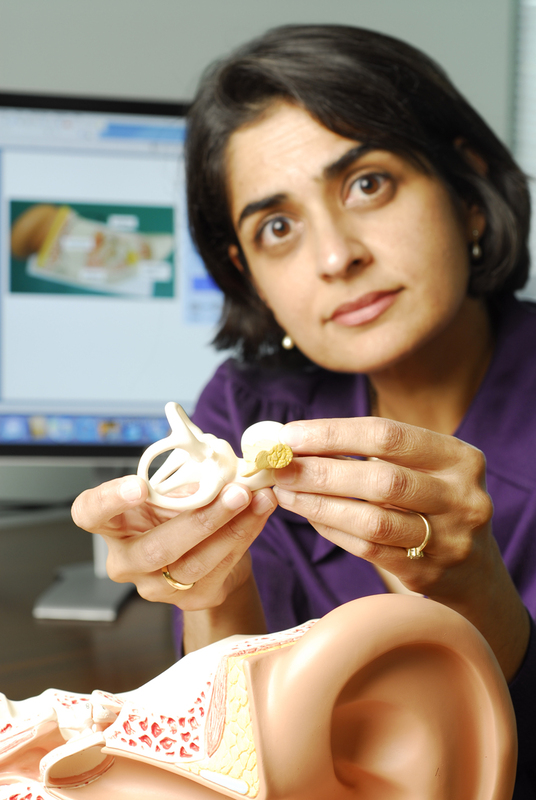 Pamela Bhatti, Ph.D., leads a team of scientists and engineers who are working on a new device that could dramatically improve sound resolution for deaf individuals who opt for cochlear implants. The researchers believe the new array could help users overcome the limitations in language perception that plague contemporary implants. Advanced Bionics’ new HiFocus Mid-Scala electrode array has received European approval from the TÜV regulatory agency.